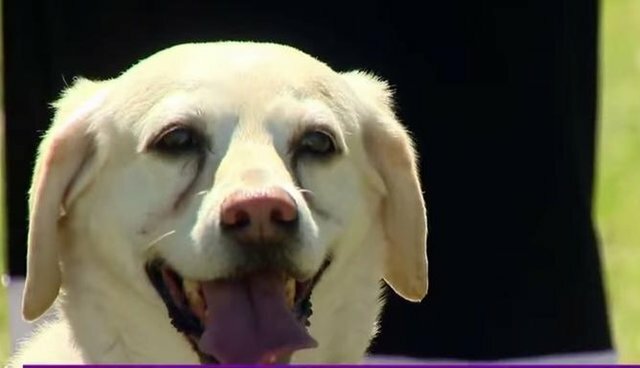 Smuckers the dog was probably out to dig up some long-buried tennis balls in her Denver, Colorado, backyard, but what she found was so much more meaningful. To her humans' surprise, Smuckers unearthed a Purple Heart medal. That was back in 2010, and Smuckers' dads, Tom Unterwagner and Steve Jankousky, tried to track down the name on the medal, Richmond Litman. But after calling every "Litman" in the phone book to no avail, they gave up and left the medal on their desk for more than a decade, local new outlet KUSA reports. 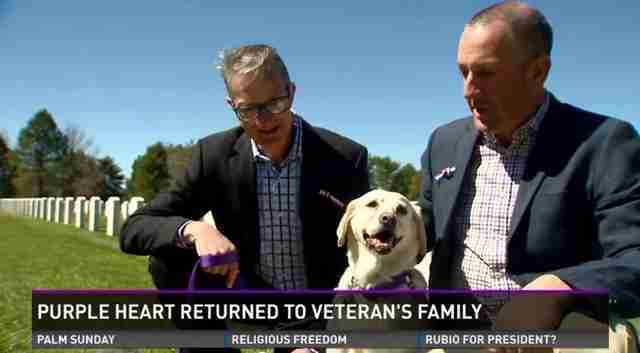 But last week, thanks to help from Purple Hearts Reunited, an organization that helps veterans track down their lost medals, Smuckers and her dads were able to give the Purple Heart back to its rightful owners. Cpl. Litman, who earned the Purple Heart during his service in the Korean War, passed away in 1990, but his stepdaughter Leatra Plick was grateful to hold the medal again. "It's like I'm holding a piece of my dad," Plick told KUSA. Smuckers looked pretty pleased to present Plick with the medal, which was hanging proudly from her collar. Fittingly, Plick said her stepfather was a dog lover. 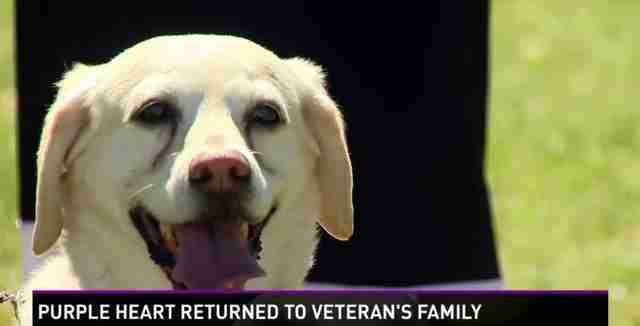 Smuckers isn't the only dog whose digging helped out a veteran: This Lab in Kentucky found Marine Corps dog tags that had been lost for 30 years. It's almost like these pooches knew what they were looking for.